If you’re familiar with the concept of the 7 wastes you might recognise the waste of ‘delays’ in the title. For many businesses delays are such a significant factor affecting their speed and flexibility that it is a great place to start when looking to improve a business’ performance. This short article offers some starting points for your own journey and explains how the StreamLiner software can assist you with capitalising on these changes. Many delays are invisible within a business. They are invisible because many of the delays that we face are not being watched. If you are personally stuck waiting for something to happen in your organisation then you become acutely aware of that delay; you are in a holding position until the delayed task occurs. So, where do I find a lot of significant delays? At the handovers between steps in a process. One department hands over to another department and then the product (or data) sits in a queue. These queues are everywhere, but often not appreciated for the huge jump in performance that they can offer when removed. Slicken up the handover and manage the queues if you want to eradicate these kinds of delays. Are your meetings frequent enough? 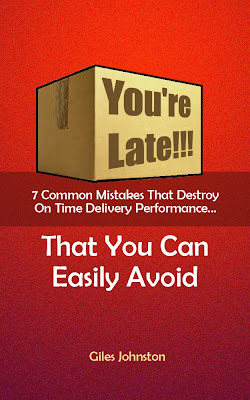 Another potent source of delays is decision making, often via meetings. Waiting for a decision to be made can cause lead times to bloat and perceived responsiveness to (internal and external) clients to drop. There is a very simple fix to this kind of issue – increase the frequency of the meetings (or at least the decision making portion of the agenda). I like meetings, if they’re effective and short. In my experience, having meetings that are shorter, but more frequent have a better effect on the business when compared to longer infrequent ones. When decisions are made more often, better decisions get made and normal business activity becomes more efficient. If you recognise this kind of problem then I recommend that you review the regular meetings that you hold and determine if anything could get delayed due to their frequency. If the answer is ‘yes’ then consider upping the frequency of these meetings. The third source of delays I want to draw your attention to is the queues that form around supporting business services. These services are the functions within your business that are working on project activities rather than order fulfilment business processes. This might be the HR team with their queue of requests for training, the maintenance department with a queue of maintenance tickets, or the design department with their queue of design modifications. Reviewing, prioritising and managing these queues can have a significant knock on effect to the performance of the rest of the business. By identifying the types of queue present in these functions and reviewing the effectiveness of the capturing, managing and flushing of these queues you can often find improvements quite quickly that can have an almost immediate impact on the business. I recall working with a client that had a very poor method for launching production orders into their factory. The factory often delivered late, despite having a four week lead time to deliver against. From some quick analysis it transpired that the pre-production process took up to three weeks, leaving one week for production. By converting the analysis into an action plan the three weeks was dropped to just under one day – significantly improving the on time delivery performance of the business? If you wondering how this analysis was carried out please let me introduce you to the StreamLiner software tool. StreamLiner was designed to take out the hassle of identifying and managing continuous improvement opportunities. Its built in tools allow you carry out the analysis with its built in templates and then allow you to record and convert your observations into practical actions. There is a powerful action management module within StreamLiner that allows you to optimise the improvement plans so that your teams are working on the most effective actions at any one point in time. The tools used for the above task were the Process Analysis tool and the Concern-Cause-Countermeasure tool, both converted into actions and managed using the prioritisation tool ‘BCS’. BCS stands for Benefit, Cost and Speed and allows you to quickly evaluate an action and then prioritise accordingly. Should you find yourself strapped for time, but need to identify and manage process improvement projects then check out StreamLiner and what it can do for you and your business. But, in the meantime, review the three main points above and see if you can find any improvements sitting right in front of you. With just a little bit of review and analysis you could be eliminating delays from your business and transforming the business’ performance in a very short period of time. 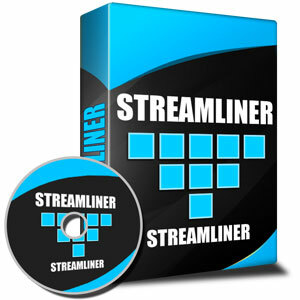 If you need a simple, low cost, and practical software tool to help you identify, manage and implement the changes that need to take place in your business then check out StreamLiner. Designed using Lean improvement approaches, StreamLiner can help you capture the improvement opportunities hidden within your business. Beyond the ready to use templates is the powerful action management function built into the software. Instead of having lots of paper plans stuck to walls, or project plans lost on hard drives, StreamLiner allows you to manage all of your improvement actions from an easy to use console. To find out more, and to buy, visit the sales page.